When you went to the grocery store the last time, how much did you spend on meat? 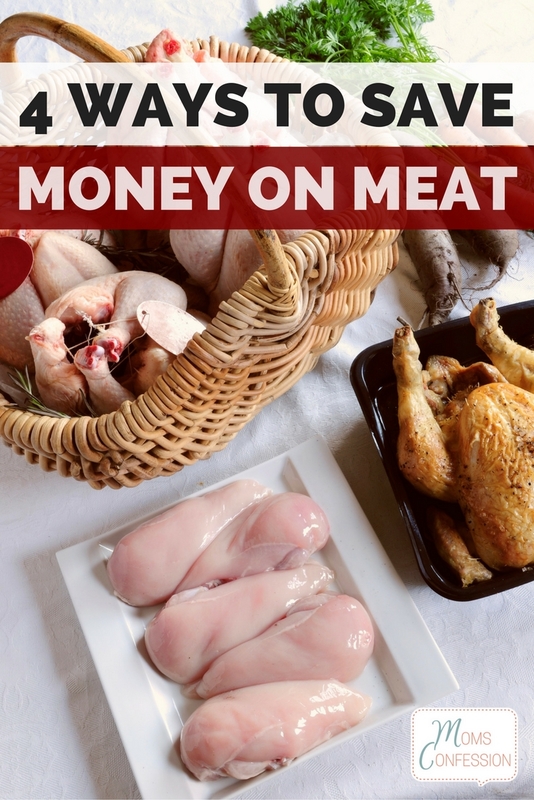 If you’re like most families, buying chicken, beef and pork can eat up half of your grocery budget or more which makes saving money on meat one of the most important things you can do for your grocery budget. If you’re not sure how to lower that cost, it can be a frustrating experience. 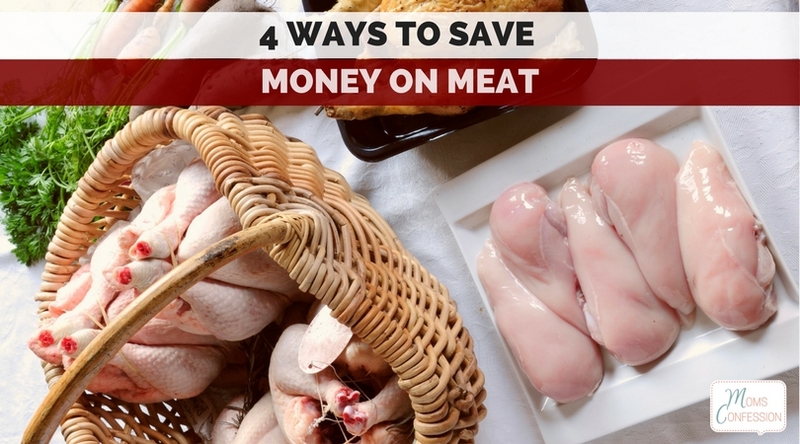 These four easy ways to save money on meat can help with that and teach you how to get your costs down without giving up the meat your family loves. Buy meat in bulk – Buying in bulk isn’t always a good option for products, but when it comes to meat, it is. Larger packages typically are priced less per pound than a smaller package. Buying in bulk also gives you the chance to take advantage of places who offer deals on fresh, organic meat in bulk packages. They often have great deals on meat, but you’ll need to have a place to store it since the packages are usually 25lbs or more. If you don’t have a way to store meat that you buy in bulk, picking up a small chest freezer can help. A 5 cubic foot freezer can hold quite a lot of items, and since they’re smaller, they won’t take up as much room. A quality one can be picked up for around $150.00, but it will pay for itself within just a few months. Watch the sale ads for combos – A lot of grocery stores will run combo specials on meat, especially near the major holidays of Thanksgiving, Christmas, and Easter. These combo sales usually will get you one piece of meat when you buy another (i.e. buy a ham, get a free turkey) and can go a long way toward helping you save on meat. The key idea is to stock up so if it’s a buy one get one promotion, buy 2 or 3 of the product you need to purchase and get 2 or 3 free to use later on. Shop for markdown meat – Shopping markdown meat is an excellent way to save, and there is absolutely no loss in quality or taste when you purchase it. Most stores will use a different color price sticker for meat that is marked down so you’ll want to “train” yourself to automatically look for those labels. The one thing you’ll need to remember is that since grocery stores don’t freeze meat, meat that is marked down is usually pretty near its sell-by date. All that this means is that you need to freeze it or cook it right away. 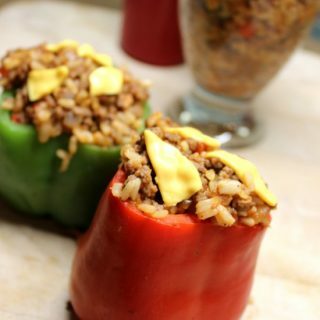 Freezer Cook – Freezer cooking is a fantastic way to save money on your overall grocery bill, but can also help you cut your spending on meat significantly. The reason it can help is that when you’ve got a freezer full of yummy meals, you feel less pressured to buy the items that you need to cook. This results in shopping less and actually allows you to watch for deals instead of having to run out to the store to grab something on the spur of the moment. This means that those bulk buys or those combo deals and general meat sales will be simpler for you to pick up rather than putting a dent into your grocery budget like before. Saving money on meat is something that will honestly take you time to really get down pat. Meat is usually the single most expensive item in a family grocery budget, and if you allow it to, it will break your budget. Using the easy ways to save money above can help you easily start saving money on meat from your very first shopping trip. After all, isn’t that what most of us are after? 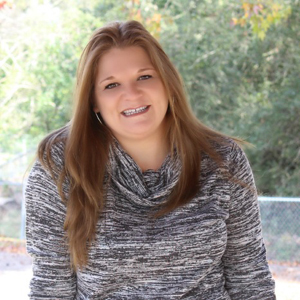 Easy ways to save money?